Blade on in our rink. 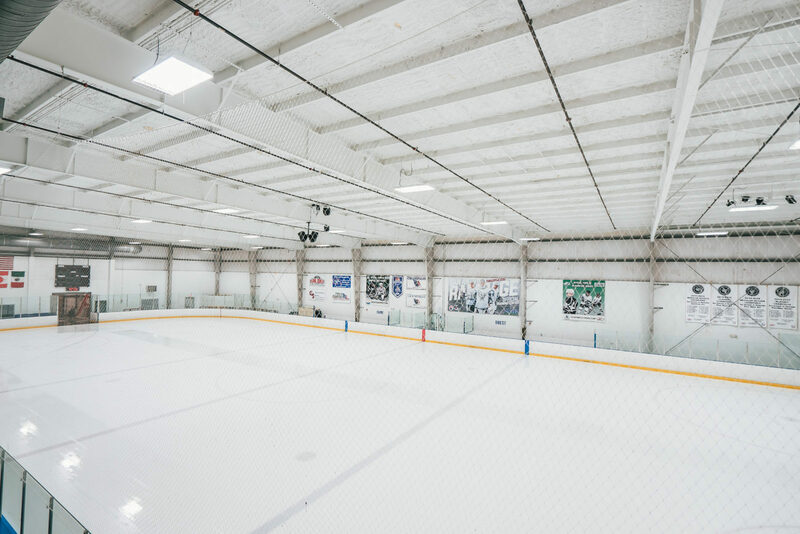 Whether you’re new to the ice or looking to train competitively, we have the rink for it. Public skate hours vary based on availability + bookings. Northwoods offers USFS (United States Figure Skating) based programs to meet every skater where his or her skills are at. Kids and adults are both welcome to learn the foundation basics in a fun + safe environment. Students will learn from experienced coaches during group instruction. 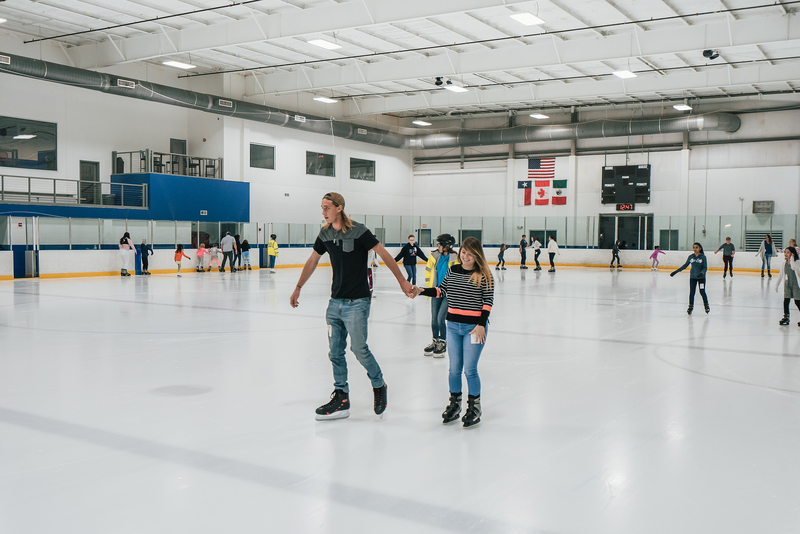 Skate rentals are included with your enrollment, and skaters will receive a pass for discounted public skating sessions. 1. Go to learntoskateusa.com and sign up for your Learn to Skate USA Membership for $16.00 (plus $1.25 processing fee). You will receive a confirmation email with your membership number and a welcome email. 2. Register for classes. Be sure to sign up early. Print or bring your membership number to class. Skaters will be evaluated the first class to ensure they’re enrolled in the correct level + class. If necessary, a coach may wish to move the skater to a different level + more suitable class. Please arrive 30-45 minutes before class time. This beginning class will teach how to sit + stand and march and glide across the ice. For skaters who have completed Snowplow I, this class builds on the basics + introduces backward skating. For skaters who have completed Snowplow II, this class builds on the basics + introduces snowplow stop. For skaters who have completed Snowplow III, this class builds on the basics + introduces two foot turns. 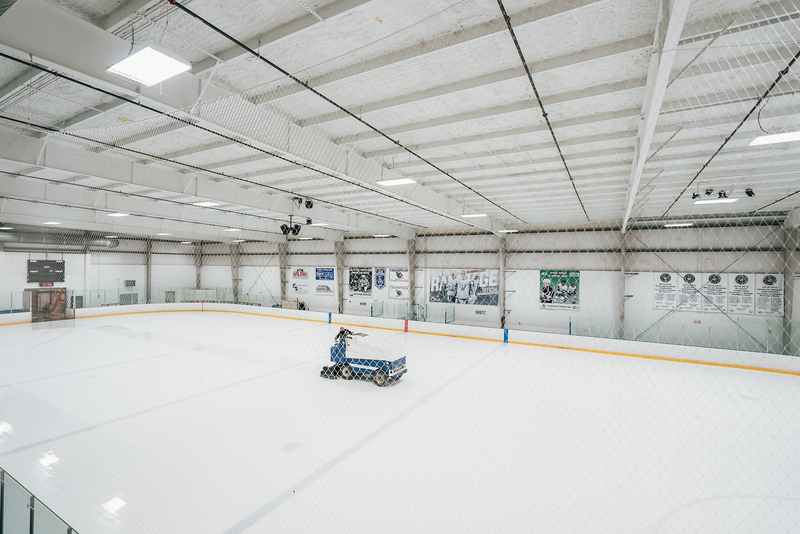 This introductory class will guide skaters to try forward two-foot glides, forward swizzles + snowplow stops. After completing Basic I, skaters advance their skills with backward + forward glides, turns, snowplow stops ,and swizzles. Skaters will learn forward stroking, backward one-foot glides, moving two foot turns on a circle, backward snowplow stops and slalom. Skaters will learn forward crossovers, forward outside and inside edges, beginning two foot spins, and backward one foot glides. Skaters will learn backward crossovers, forward outside three turns, advanced two foot spins, and hockey stop. Skaters will learn backward stroking, forward inside three turns, one foot spins, and forward spiral. The higher-skilled skaters will be challenged in our most advanced youth class, learning beginning jumps + spins. No experience? No problem. Designed for adults new to the rink, this class will teach the basics of forward + backward skating, turning and stopping. For the more-advanced, adult skater interested in learning forward and backward crossovers, footwork, beginning spins, and advanced stroking. All of our coaches are USFS and PSA members. Participants for morning freestyle must prepay for the session. *Skaters must be recommended by a learn to skate coach and have their own skates. * All refunds are subject to a $25.00 administration fee. * Students must be recommended by a coach. For students enrolled in Learn To Skate, Beginner Cutting Edge, Pre-Freeskate, Freeskate 1-6. Classes are designed to help with competition preparation, sportsmanship, Jumping & Spinning. Wednesdays 5:15-5:45 PM (Hockey 1) 5:45-6:15 PM (Hockey 2) or Saturdays 10:15-10:45 AM (Hockey 1) 10:45-11:15 AM (Hockey 2). Designed to help your hockey player learn the basics of skating before attempting to play. You can’t play if you can’t skate. This program is offered to ages 5-16, and is a prerequisite for the youth Hockey Dynamics classes. Hockey I: Proper stance, forward two foot glide, scooter pushes, dip or squat, forward swizzles, hockey stop, and backward skating. Backward stance, skating forward using full stride, backward hustle, backward swizzles, glide turns (both directions), moving hockey stops. Hockey II: Forward C-cuts on circle (left & right), hockey turns with speed (left & right), forward slalom, forward stops & starts, backward v stops, lateral marching crossovers (left & right). Forward one foot pushes (left & right), forward crossover glides,forward and backward crossovers (left & right), alternating backward C-cuts, backward one foot glides (left & right), mohawks, hockey stop. The hockey stick is also introduced in Hockey 2. There are no skating camps available at this time.